In chapter six of our book—“Think Outside the Van”—we share the story of Nijmegen-based lawyer turned International Cargo Bike Festival founder Jos Sluijsmans. Like the two of us, Sluijsmans’ passion for creating better cities—and the recognition of the role the nimble bakfiets (or “box bike”) could play in that process—ultimately took him from a desk job to one of inadvertent global cycling advocate. And in the summer of 2017, while researching “Building the Cycling City”, we were lucky enough to travel to the Netherlands and attend the sixth iteration of the annual festival, as well as meet and interview Sluijsmans over breakfast in his hometown. Started by Sluijsmans in 2012 as an informal gathering of like-minded industry people, the International Cargo Bike Festival has grown to include exhibitors and attendees from around the world, including brands such as Yuba, Babboe, and Urban Arrow. Over that period of time, it has proven to be a valuable venue for entrepreneurs to connect with their peers, and discover brand new markets for their products. 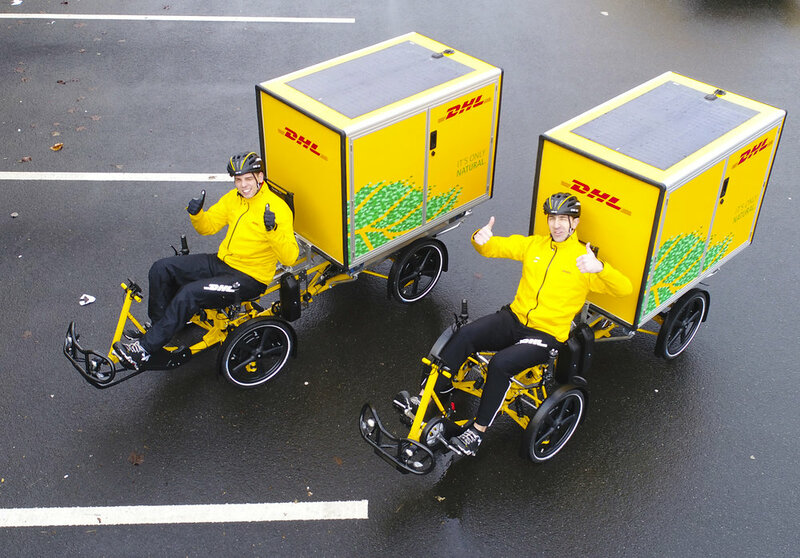 Famously, it was at the 2014 event that Johan Erlandsson of Velove first met DHL, leading to a strategic partnership that would produce the shipping giant’s Cubicycle. This innovative, containerized cycle logistics scheme is now being rolled out in dozens of European cities, and it is only a matter of time before it lands on North American shores. After taking the International Cargo Bike Festival outside of Dutch borders for the first time in 2018—for a highly successful event at Berlin’s Tempelhof Airport—Sluijsmans will return to the Netherlands in 2019. The host city? The once-fortressed college town of Groningen—famously declared “The World’s Cycling City” by Streetfilms’ seminal short documentary—where two-thirds of all trips in the centre are made by bicycle. As part of the municipality’s ambitious plan to make all city centre logistics completely emissions-free by 2025, the City will host a number of transport-focused events this year. This includes the eighth annual International Cargo Bike Festival, to be held on the industrial grounds of the old Suiker Unie (“Sugar Union”) Factory from June 14th to 16th. When Sluijsmans first started planning this event this past August, he reached out and invited the two of us to deliver the opening keynote, given the relevant chapters of our book that shared how Groningen historically became such a cycling utopia, and explored the enormous potential cargo bikes have to transform (both Dutch and North American) cities for the better. It was at that time that we were starting to firm up our plans to relocate to the Netherlands, so we immediately accepted his offer. Having officially landed in Delft, we are now counting down the days until we gleefully ride along Groningen’s bustling cycle tracks, as we did in the summer of 2016. Our relationship with the ICBF doesn’t end there, though. 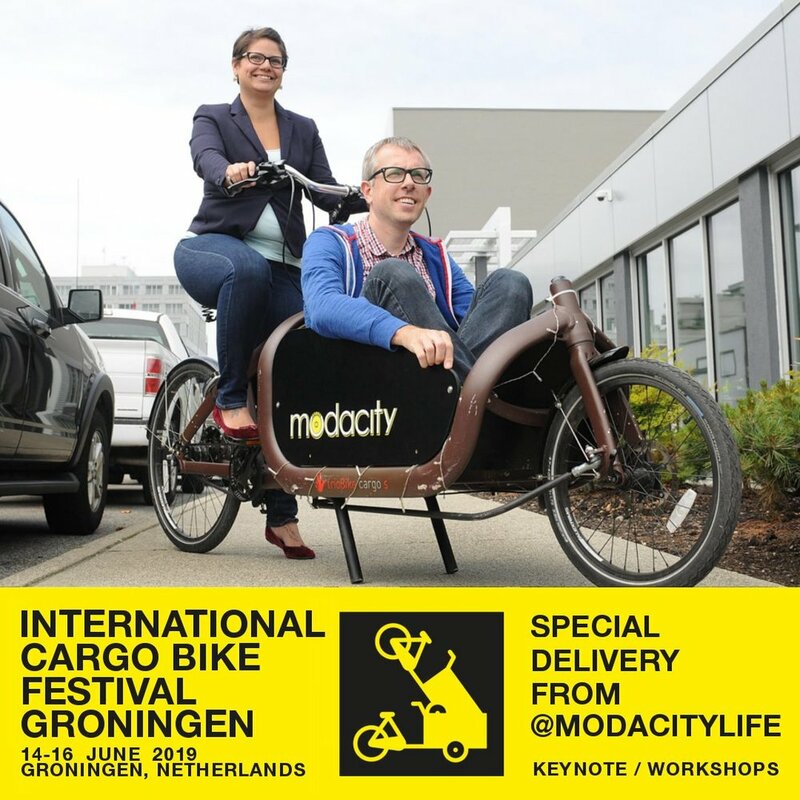 Further discussions with Sluijsmans have led to Modacity becoming official marketing and promotion partners with the International Cargo Bike Festival. During the build-up to the conference, we’ll be sharing festival updates, general cargo bike-related news, and unique aspects of the host city on their Facebook, Twitter, and Instagram feeds. We’ll also be providing event photography on all three days of the festival, and curating daily highlights on both Modacity and the ICBF’s social media channels. If you’re interested in learning more, please visit the International Cargo Bike Festival website, and follow along on their social media channels. And whether you’re a cargo bike user, designer, manufacturer, or retailer, we hope you’ll join us in “The World’s Cycling City” for what promises to be an amazing weekend this coming June.